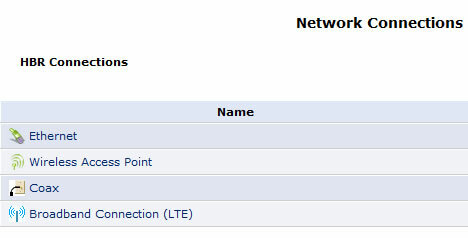 The signal strength, APNs, SNR and other values are displayed. 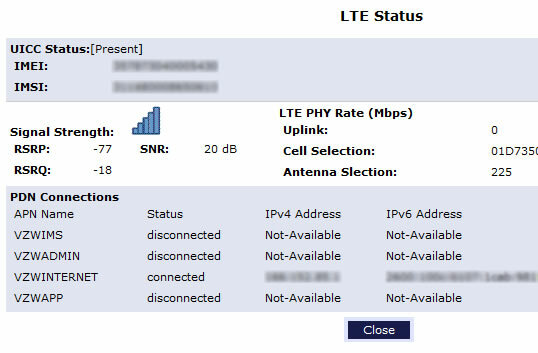 The LTE SNR (Signal to Noise Ratio) should be greater than 12.5. The connection may lose signal with a SINR value of -6.